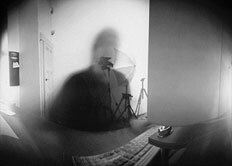 When I began to take an interest in large-format photography in 1999, I came across the fascinating pinhole cameras of Doug Bardell on the Internet and the exhaustive article by Jon Grepstad (Pinhole Photography – History, Images, Cameras, Formulas). I remembered my own experiments with the pinhole camera conducted in my youth and my unsuccessful attempt to construct the legendary Dirkon Czechoslovak pinhole camera. The creative freedom, experimental nature and atmosphere of photographs taken using the pinhole camera soon captivated me to such an extent that today I take photographs almost exclusively using this technique and I ended up selling my SLR camera. Originally I intended to create these Internet pages as an information source about pinhole cameras only in Czech, but then I decided to have the texts translated into English so they would be accessible to all fans of this camera technique. I would just like to round off with a few words about myself. I was born in 1972 in Prague, the capital of the Czech Republic. My brother and I established a graphic studio in 1996 where I work as a graphic designer, web designer and occasionally do photographic work. Our clients chiefly include cultural organisations, such as theatres, publishing houses, galleries and so on. Seven Eyes – City, 2006, Bonate Sotto, Italy. Collective exhibition: P. Manzone, V. Marzocchini, M. Beltrambini, D. Pedruzzi, H. Mertens, D. Zrihen and D. Balihar.